Nissan today unveiled the groundbreaking, innovative ZEOD RC - the world's fastest electric racing car that will reach speeds of more than 300km/h with electric technology at the Le Mans 24 Hours. The ZEOD RC (Zero Emission On Demand Racing Car) will make its race debut at next year's Le Mans 24 Hour. The global leader in electric vehicles for the road, Nissan will trial variants of electric drive train technologies as part of its intended future return to LM P1 competition to challenge for overall victory at Le Mans. The car will compete under the Automobile Club de l'Ouest's 'Garage 56' entry – an additional spot on the grid for vehicles that showcase new and innovative technology. Run as a Nissan / Nismo full factory program with input from Japan, Europe and the USA, the program design team is headed by Ben Bowlby who has been newly-appointed as Nissan's Director of Motorsport Innovation and previously worked on the Nissan DeltaWing. Nissan today kicked off a unique aspect of the program – fans getting the chance to unveil the car in the public area of the Le Mans circuit. Nissan intends to draw back the curtain for fans to provide continued updates via its partnership with YouTube and its Nismo.TV channel. 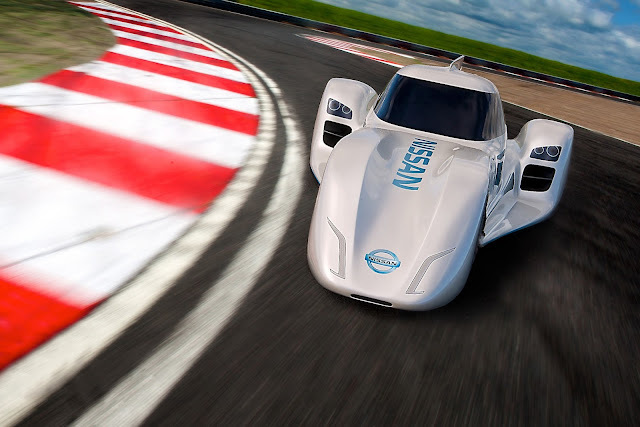 "Nissan has become a global leader in the development of zero emission automotive technology and the Nissan ZEOD RC will allow us to further develop those capabilities using the toughest endurance race in the world as a mobile test bed for our planned LM P1 power train," said Andy Palmer, Executive Vice President and Executive Committee member at Nissan Motor Company Limited. 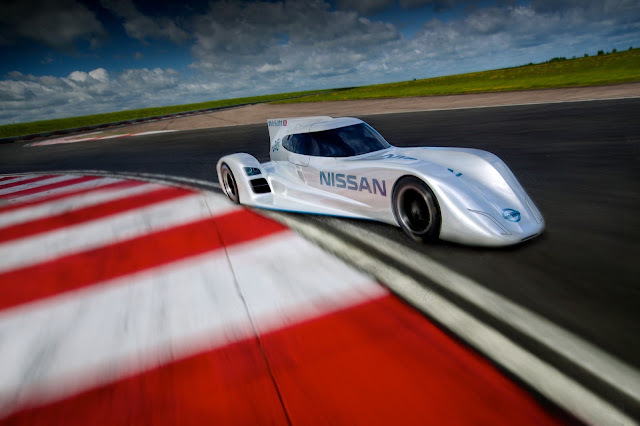 "The Nissan ZEOD RC is a natural progression that follows on from the development of the Nissan LEAF road car and the LEAF RC race car prototype. The technologies developed through the program will form part of future innovations for road cars. "The program is designed to develop multiple technologies to evaluate how they could be used for a future LM P1 class return of Nissan at Le Mans. We are investigating multiple options. A Zero Emission on Demand option where the driver can switch between electric and petrol-powered drive is a future direction for road cars, so that will be tested in addition to pure electric power and other new technologies." Launched in 2010, the Nissan LEAF has become the world's best-selling all-electric car. The Leaf won the 2010 Green Car Vision Award, the 2011 European Car of the Year, the 2011 World Car of the Year, and the 2011–2012 Car of the Year Japan. Nissan launched the Nissan LEAF RC in 2011 – a racecar powered by the same 107-hp electric motor that is used in the road car. While current battery technology doesn't provide the energy storage capacity to race a solely electric Le Mans prototype, Nissan ZEOD RC designer Ben Bowlby believes the development of the car will be an important step in the "electrification" of motorsport. "A car like this provides an incredibly challenging test bed for what could be highly-effective options for road cars. Throughout the next year we will be testing multiple drive trains in an extensive test program," Bowlby said. 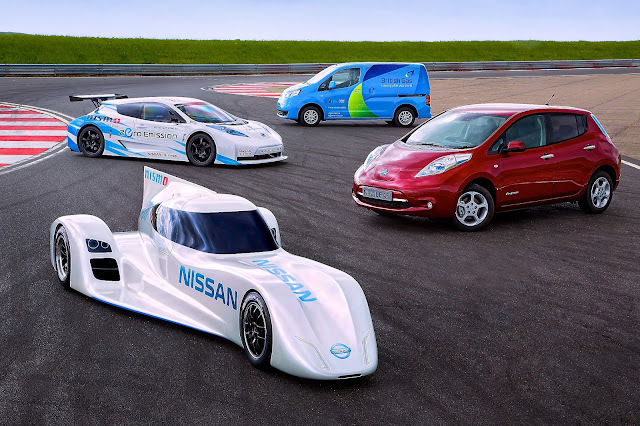 "Nissan is a leader in electric vehicle technology for the road, now we want to take those lessons learnt and utilize that knowledge base in the development of the new race car."